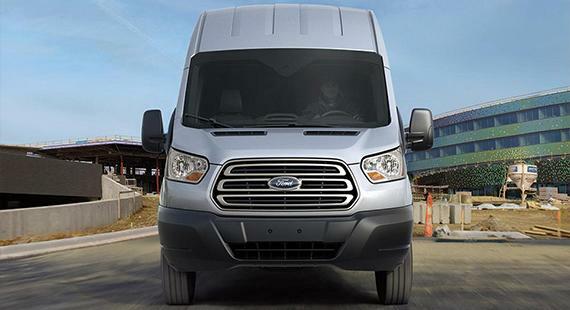 If the 2017 Ford Transit isn't one of the first names you think about when it comes to light commercial vans, it probably won’t be too much longer until it is. The Transit is available as both a cargo van and passenger van, it comes in a number of lengths, sizes and configurations, and it had the unenviable task of taking over from the legendary E-series/Econoline vans of the past. It was always unlikely to have ever been any sort of problem for a van with a pedigree like this one though. Although the Transit name would have been virtually unknown here just a few years ago, it's not going over the top to suggest it's at least as famous and iconic in the UK and the rest of Europe as vehicles like the Mustang and F-Series are here. Since as far back as 1965 when the Transit first went on sale in Europe, it really has been the first name in cargo vans, so it was unlikely to be anything other than a roaring success when it eventually made its way over here. Despite being in continuous production for more than half a century, the latest 2017 Ford Transit is still only part of what's currently the vehicle's fourth-generation. For the 2017 model year, the Transit lineup enjoys a number of enhancements that are designed to make these vehicles that are already so trusted and relied upon by fleet and small business customers, even more essential to their endeavors than they were before. There are now no fewer than a staggering 64 different configurations of the Transit available, which is six more than the 58 offered for 2016, and those best-in-class levels of flexibility have now already made it the best-selling commercial van in America. Low-profile center consoles and power running boards are among a number of new optional features now available, which are designed to make the Transit even more flexible so it can be tailored to suit even the most unusual and unique business needs. The several newly introduced configurations of 2017 Ford Transit include the 350 regular-wheelbase vans, chassis cabs and cutaways with single rear wheels and a 9,500-pound GVWR. The tried and tested 3.7-liter engine is now a standard feature with both dual-rear wheel van and wagon models, which has effectively brought about the lowering of the base price and now brings in CNG or LPG capability as an option. 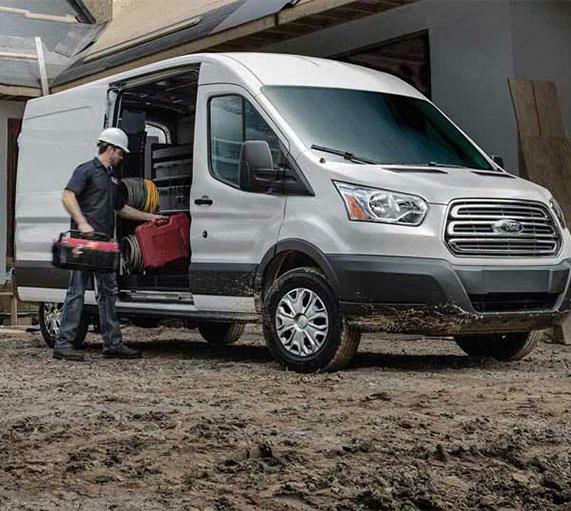 The 2017 Ford Transit lineup has three powerplants for buyers to choose between, which all manage to strike a superb balance between capability and the fuel-economy that's so important to business users. The engine family begins with the previously mentioned 3.7-liter Ti-VCT V-6, which is capable of producing 275 horsepower and 260 lb.-ft. of torque. The second of the three powerplants is a 3.5-liter EcoBoost V-6, which then ups the ante on power quite considerably to 310 horsepower and a very healthy 400 lb.-ft. of torque. Those who are mostly familiar with diesel engines in pickup truck applications could be little surprised to see that the 3.2-liter Power Stroke inline-five turbo diesel offered for the Transit, delivers a modest 185 horsepower and less torque than the EcoBoost at 350 lb.-ft. But while diesel engines in trucks are all about sheer grunt and optimum capability, a diesel engine in a cargo van will often be more about fuel-economy than it is about huge amounts of capability. Although the EPA doesn't publish estimated ratings for the diesel in the Transit as it's only available in long-wheelbase variants, it's expected to return something like 16 mpg in the city and 22 mpg on the highway, which is pretty useful when you then consider how many miles a commercial will cover in a year.